Antigen-binding fragments (Fabs) are an important part of monoclonal antibody (mAb) therapeutics and can be cost-effectively produced using an Escherichia coli (E. coli) expression system. However, Fabs tend to form undesirable aggregates when expressed in the cytoplasm of E. coli, substantially reducing the yield of correctly folded proteins. To solve this problem, in this study, we used five Fab fragments targeting IGF1R, Her2, VEGF, RANKL, and PD-1 to develop a novel system employing the alkaline phosphatase (phoA) promoter and the heat-stable enterotoxin II (STII) leader sequence to facilitate the efficient expression and extracellular secretion of Fabs. Following phosphate starvation, all five Fab fragments were expressed in BL21(DE3), were largely secreted into the culture medium, and then, were further purified by affinity chromatography specific to the constant region of the light chain. The purified Fab products were evaluated and were found to have high purity, antigen-binding affinity, and in vitro bioactivity. 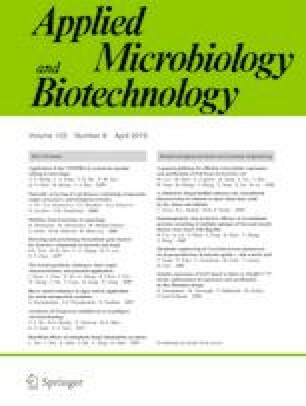 The mechanism experiments revealed that (1) BL21(DE3) had significantly higher productivity than the K-12 strains investigated; (2) the secretion ability of the PhoA promoter was superior to that of the T7 promoter; and (3) signal peptide, STII, showed higher extracellular secretion efficiency than pelB. Our findings strongly suggested that the phoA-STII-facilitated extracellular production platform is highly promising for application in the manufacturing of Fab fragments for both academic and industrial purposes. The online version of this article ( https://doi.org/10.1007/s00253-019-09745-8) contains supplementary material, which is available to authorized users. This work was supported in part by the National Natural Science Foundation of China (No. 81773621 to Zhu J.) and the Science and Technology Commission of Shanghai Municipality (No. 17431904500 & 17ZR1413700 to Lu H.). This article does not contain any studies with human participants or animal experiments.